Complex and balanced, this 18 year old single malt whisky has won more awards than any other. 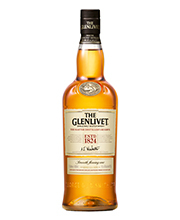 The Glenlivet 18 Years is Old gold with apricot hues in color. It has Rich fruit aromas and toffee Notes and taste wonderfully balanced, with bursts of sweet oranges. The Glenlivet 18 Years has long finish with spice and moist raisin notes.